Currently signed with Invicta FC, this 22-year-old Mexican martial artist amassed an undefeated record of 5 wins and 0 losses during the first eighteen months of her career. She made her professional debut in 2012. She is hailed as a very powerful fighter from the very beginning and recently won over Ashley Cummings after a year’s gap. 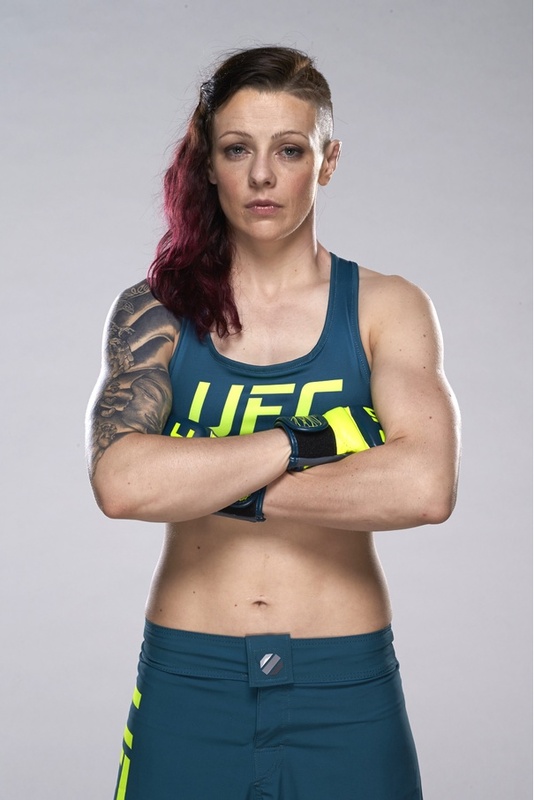 This Scottish, Muay Thai, champion and mixed martial artist competes in the women’s strawweight division of the Ultimate Fighting Championship and ranks 7th according to the official UFC strawweight rankings as of April 13, 2015. Her training suffered in the initial years until she settled on becoming a professional fighter and made her debut in 2000. This American artist ranks 4 in the UFC strawweight championship. She started her training in taekwondo at the age of 5 and by 16, she was well learned in karate and jiu-jitsu as well. She debuted as an amateur martial artist in MMA in the year 2010. Currently competing in the women’s strawweight division of UFC she also holds the second position in The Ultimate Fighter: A champion will be crowned. Ranking 9th in the strawweight overall division of the UFC Valarie Letourneau is a Canadian mix martial artist who debuted in MMA in 2007. 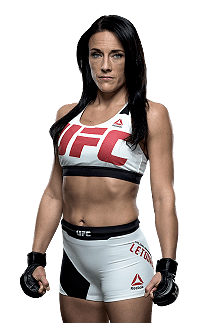 Letourneau has got 8 wins under her belt by far and is expected to face the current number 1 mixed martial artist Joanna Jędrzejczyk in November 2015. A professional in martial arts, Esparza is the first UFC women strawweight champion, who according to MMARISING ranks 9th in the pound-for-pound female MMA fighter in the world and second according to the Unified Women’s MMA rankings. Noticing the talent behind her back-to-back wins in local and high school wrestling competitions she was awarded a scholarship and an opportunity to train under Olympian Lee Allen. This Brazilian mixed martial artist is the current Invicta FC strawweight champion who won this title in the very first attempt. Holding the 6th position in the ‘fightmatrix’ website, Souza has practically won every fight in her professional career. Currently signed with Invicta FC and competing in its strawweight division, this American artist made her professional debut in 2012 after an amateur stint at MMA in 2011. After two years of competing for promotion and winning all bouts, she debuted for Invicta FC in 2014 and since then has been quite successful at it. Currently ranked as the third best martial artist in the world, this American artist made her professional debut in 2006. 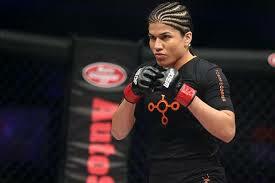 She is signed with UFC even though she lost against Claudia Gadhela in her debut for UFC. She had previously competed for Bellator Fighting Championships and used to be the reigning WSOF women’s strawweight championship. Having won the first women’s strawweight fight in the UFC history, this Brazilian artist is the youngest BJJ black belt in the Nova União’s history. After watching a female fighter in MMA she decided to give martial arts a try and never looked back. She made her first debut in 2008 and is three times the BJJ world champion and also four times the BJJ Rio International Open championship. With American Roots, Miesha Theresa Tate began wrestling during high school, winning state level competitions. She made her professional MMA debut in 2007 and won her first big title in bantamweight championship of the Freestyle Cage Fighting Promotion by 2009 along with the silver in the FILA grappling championships. This polished marital artist currently holds the first position in mixed martial arts. A fitness freak, Jędrzejczyk eventually started entering competitions, later receiving training by kick boxers, Ernesto Hoost and Paul Slowinski in Muay Thai. Signed with the UFC, she won the world championship 6 times, the European championship 4 times and holds a record of 27 wins and 2 losses in professional kickboxing and a record of 37 wins against 3 losses in amateur kickboxing. Holding the first position as the most dominant athletes’ list, Ronda Rousey became the first American to have won an Olympic medal in Judo in 2008. Having won all twelve professional fights, she remains an undefeated mixed martial artist and is also the first and reigning UFC women’s bantamweight champion and also the Strikeforce women’s bantamweight champion.